View your card balance, transactions, contact preferences and PIN. 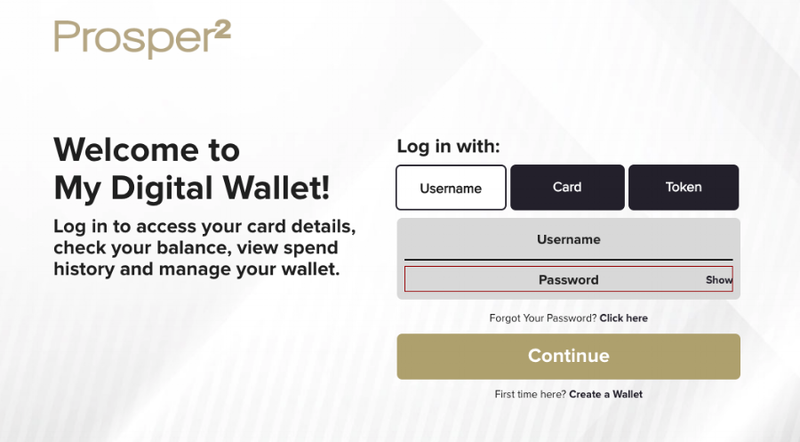 Log in to your Prosper² Membership Portal, click 'Prosper² Rewards' and then 'Prosper² Rewards Card Login'. The Prosper² Rewards Card Login Screen opens in a new window. Select ‘Username’ and enter the username and password you chose when you first logged in. Alternatively, you can sign in using your card details or using your token by selecting the appropriate tab. You can update your contact details easily here too.